Today I will be talking about another branche in the beauty industry: perfume. As you can see on the picture, we're talking about Salvatore Ferragamo today. The fragrances of Salvatore Ferragamo are very classy and luxurious. 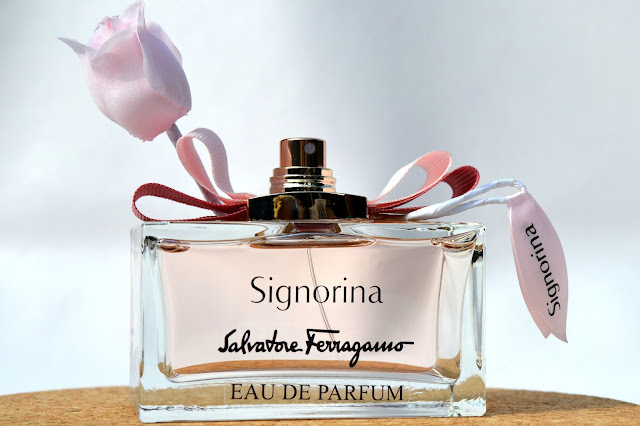 Signorina is a scent that was launched in 2011 by Salvatore Ferragamo. It's an eau de parfum. The name Signorina is Italian, it means young woman. The fragrance was created for all the brave, modern women that are also romantic. The scent is a floral-fruity scent. The heart notes only contain flowers: jasmin,roses and pink peony. I love the flacon of this perfume! It is so elegant, luxurious but also simple. On top of the flacon you can see the famous vara bow in two shades of pink. This bow makes the flacon extra classy and luxurious. Signorina is available in three sizes: 30, 50 and 100 ml EDP. This perfume is also an 'eau de parfum', which makes it lasts longer on your skin. This perfume was created for succesfull, sensual and gracefull women. The scent is a sweet - fruity scent. In the topnotes we find pear and grapefruit. In the heart notes we find osmanthus and almond powder. The base notes contain patchoulli and white leather. Also with this Signorina the longevity doesn't dissapoint, the smell lasts for at least 10 hours on my skin. The smell itselfs reminds me a little bit of Coco Mademoiselle EDT (that's my opinion). The flacon of the perfume is almost the same as the Signorina that was launched in 2011. It is a classy, luxuriuos and timeless flacon with a typical vara bow on top that comes in two shades of beige. I love the paskaging from Salvatore Ferragamo perfumes, they're always so sophisticated! 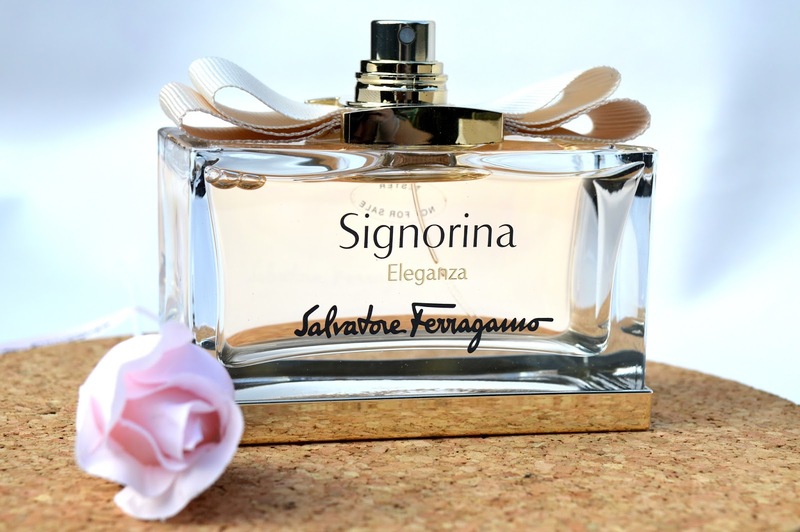 Signorina Eleganza is available in three sizes: 30, 50 and 100 ml EDP. 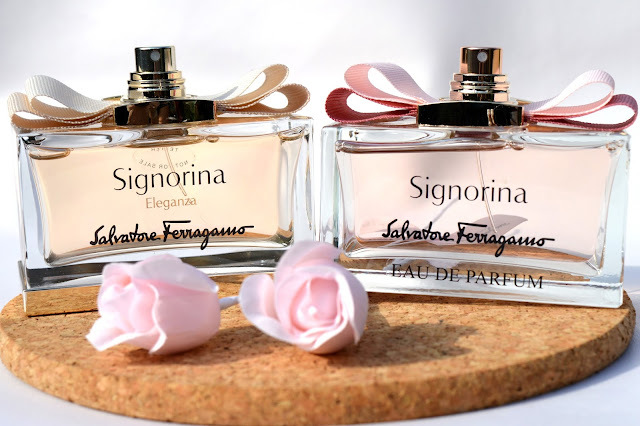 My favourite of these two perfumes, is the Signorina (2011). Which one is your favourite Signorina, the classic one or the Eleganza version?